UC Santa Cruz associate professor Derek Conrad Murray, an interdisciplinary theorist in the History of Art and Visual Culture Department, has been appointed to the Editorial Board of Art Journal. A peer-reviewed journal of the College Art Association (CAA), Art Journal is the premier professional association journal for contemporary art and criticism in the United States. Published quarterly, it features scholarly articles, conversations, portfolios, and other contributions by leading art historians, artists, curators, and critics. Murray will serve until 2020. 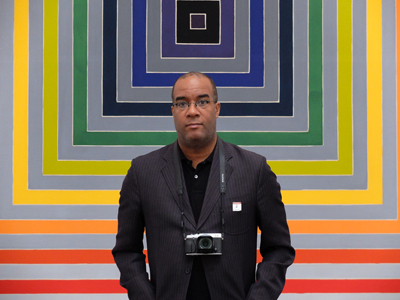 Murray’s research focuses on the junctures of African-American and African diasporic art, post-black art and aesthetics, cultural theory, identity, and representation. He has contributed to leading magazines and journals of contemporary art and visual culture, including American Art, Art in America, Art Journal, Third Text, and Nka: Journal of Contemporary African Art (Duke University Press), where he currently serves as associate editor. Murray is additionally the author of the book Queering Post-Black Art: Artists Transforming African-American Identity After Civil Rights (I.B. Tauris, 2016). He is also currently serving on the Editorial Advisory Board of Third Text.